Listed below are various features, technical data and specifications for 1st Generation (1979 – 1996) Volkswagen Rabbit Pickups. 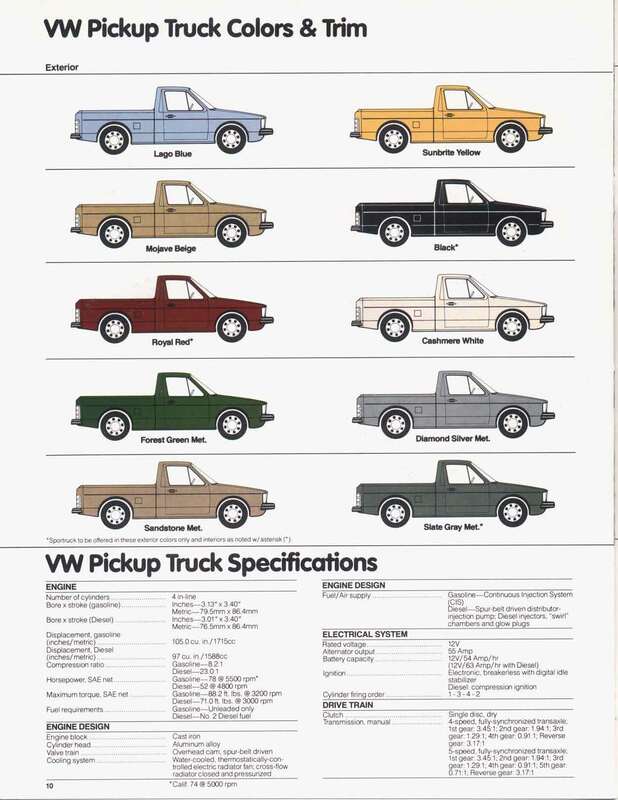 Be sure to click on the image below to enlarge and see full view of an original VW Pickup Truck marketing sheet. Have anything else to add? Let us know in the comments section below.